While The Muppet Show used, for the most part, existing songs for its musical numbers, The Muppet Movie had exceptional original music composed by Paul Williams and Kenny Ascher. Nominated for an Academy Award, “The Rainbow Connection” was extremely popular and fans sought out the sheet music in stores. Cherry Lane Music distributed a book with the vocal music and lyrics at the time of the film’s release in 1979. The following February, Jim met with music arranger, conductor, editor and founder of the Cherry Lane Music Milt Okun to discuss a line of Muppet music books. Okun had been instrumental in the development of John Denver’s career and had also produced in 1979 the platinum-selling album John Denver And The Muppets: A Christmas Together and published the music. Along with publishing Muppet music, Okun’s company provided other services, including screening the many unsolicited music submissions that Jim received. 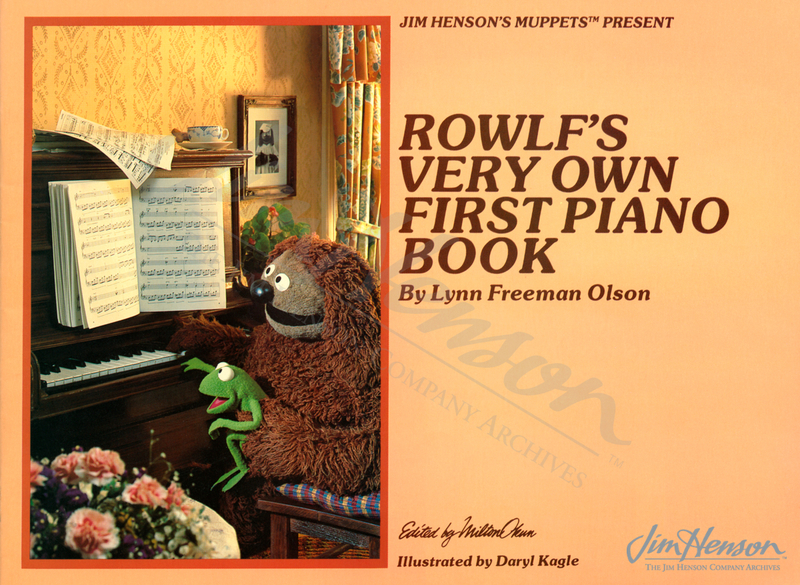 Along with books relating to Jim’s projects with John Denver and his feature films (including orchestral arrangements), Cherry Lane published several books for teaching piano including Jim Henson’s Muppets Present Very Easy Piano Favorites and Rowlf’s Very Own First Piano Book. Having studied piano as a child, Jim understood the need to create teaching materials that engaged and amused the piano student. 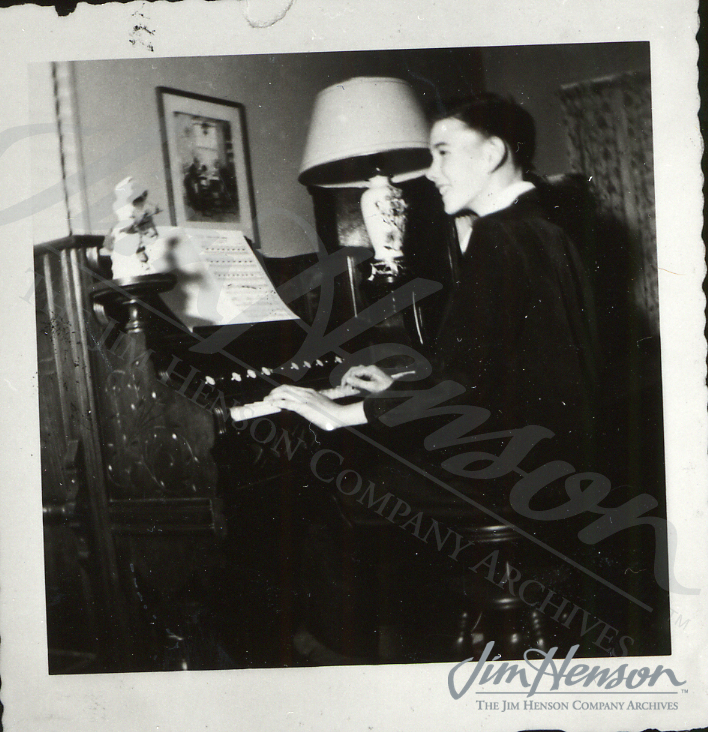 Jim at his mother’s organ, about 1950. 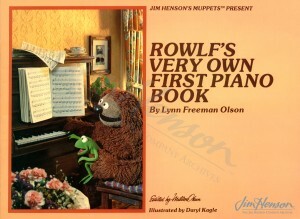 Rowlf shares his musical talents with Robin on the cover of Rowlf’s Very Own First Piano Book edited by Milt Okun. This entry was posted in 02-February '80, 1980 and tagged Cherry Lane, John Denver, Kenny Ascher, Milt Okun, Paul Williams, The Muppet Movie, The Muppet Show, The Rainbow Connection. Bookmark the permalink.